Coral Guardian seems to have embraced the concept of awareness leading to protection; to revisit and paraphrase the idea that we only conserve that which we know, understand, and cherish. 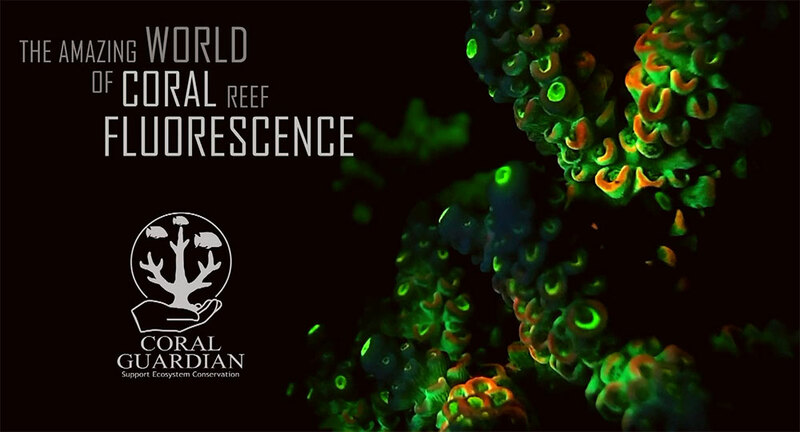 As most reef aquarists already understand, little in the natural world can hold a candle to the impressive visual impact of a fluorescing coral. Coral Guardian certainly builds on that with a currently 3-part series of videos released throughout 2013. “The ongoing study is part of a growing interest in coral fluorescence among the scientific community. Coral Fluorescence was recently found to be a strong indicator of coral health, and coral fluorescence can even be used to determine when coral larvae are ready to settle. The footage was captured using a super macro camera to study the biology of corals in question and microscopic fauna living among this mysterious ecosystem. For those unfamiliar with Coral Guardian, they illuminated some of their mission when describing this video series. I should of course mention that Coral Guardian is probably not the first or last group or individual to record and demonstrate the awe inspiring nature of coral fluorescence; I was instantly reminded of the breathtaking work done by Colin Foord / Coral Morphologic; one such example being this short “Preener” from 2010 (and their film Natural History Redux which was released earlier this year). One thing is for sure – footage like this is certainly raising the bar for every at-home aspiring reef videographer!